That's adorable. I love the daddy snuggle pictures. So cute! 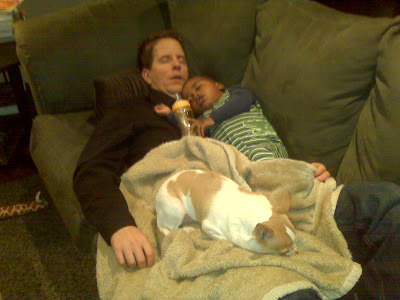 Looks like the whole family is loving Mr. Ade! That is the exact moment that Big Bear is waiting for! That baby cuddled up on the chest.....so precious. So happy for you all, Rana! that is absolutely a perfect picture!